It allows catalog exportation to a CSV file by total of categories or by group of clients. 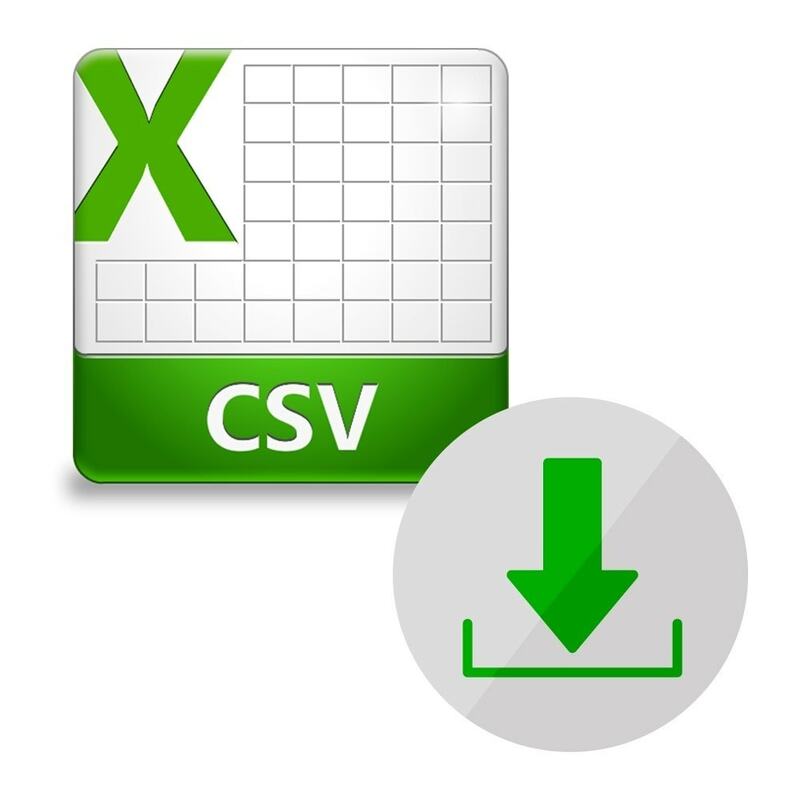 Export the whole catalog or export it by client to a CSV file. This file can be checked and modified in any spreadsheet software, and it is prepared to its following importation to ecommerce. Export it in any of the languages available in your ecommerce. Provide a link to your distributor so they can open files, since they are located in your backoffice. Define a percentage of stock to be sold by distributors. 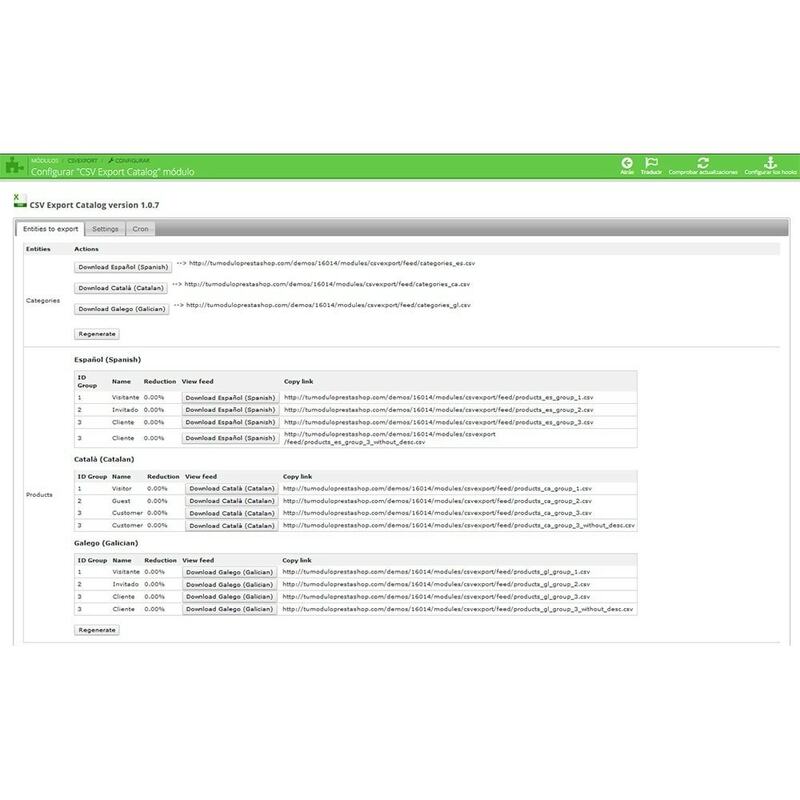 Set up a server task that automatically regenerates CSV, reducing error risk. It allows exportation by total of categories or by group of clients. It includes “Regenerate” button to update CSV files data after modifying product information. It allows download in all of your ecommerce different languages. Mode Debug: Only for programmers. It exports just 1 product for its revision. Strip tags. It clears HTML code from product’s description. Select image type to export. It defines image’s size for exported products. Select percentage stock for dropshippers. It sets the percentage of total stock to be sold by every dropshipper. Cron. 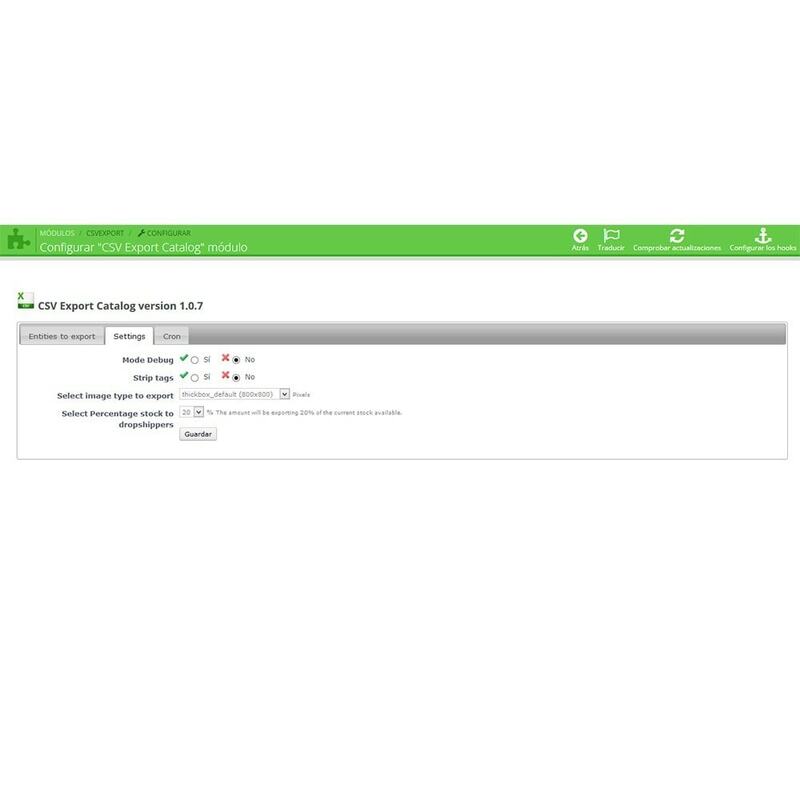 Link to create a scheduled task on server to automatically regenerate CSV. Categories CSV shows the same values than every Category backoffice’s configuration. Your dropshipping clients will be able to export your catalog and to import it into their ecommerce with no difficulty, which will improve their satisfaction and loyalty. The whole distribution chain will improve its efficiency, and this will positively impact on costumers. First of all, click “Add new module” at modules tab on back office. You will find it in the top right. After that, select packaged file you have downloaded from AddonsPrestashop and click “Upload file”. Now your module appears on modules list. Click on “Install”, and “Configure” next. An attractive and contemporary module which divides payment process in three steps/ tabs grouped under the same URL, with cart resume always visible. Your product page adapted better than ever to the mobile version. Change the way to show your images with a simple and modern slide. The users can change the image with a natural way. It adds in your cart the option of making a donation to an NGO.